Don’t drop in here expecting an expert take on craft beers in the Canary Islands. When it comes to the world of IPAs, wheat beers and sassy blondes I’m a novice; a recent immigrant from the safe and unadventurous world of watery lagers. I blame years of living in Stockport for halting a lack of development in beer drinking terms, and too much time spent in pubs where local bitters had an aroma that weren’t unlike a slyly dropped fart. 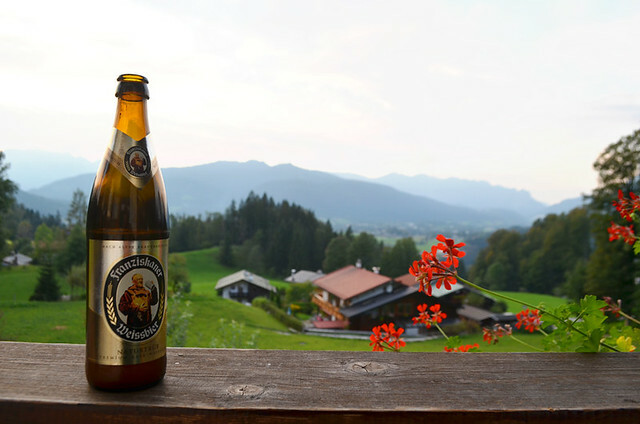 Added to that, various walking trips to Austria and Germany had us confirmed stein-clinking converts, diving enthusiastically into frothy jugs in bier kellers and stocking up on dunkels and weissbiers for post-hike rewards. When we returned to the Canary Islands we stopped ordering sunny Dorada cervezas in the western islands and light and frisky Tropical in the eastern ones and started looking for something with more of a swaggering personality. Fortunately this was at a time when micro-breweries in the Canary Islands were starting to creep more and more into the bar and restaurant scene. Our first experience was at Tacoa, an off the beaten track restaurant near El Sauzal where they brew the beer on the premises. 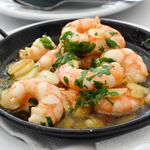 This creation of a German/Spanish couple was known for its craft beers and an interesting fusion of Spanish and German cuisine. Their golden ales, porters, IPAs, and bocks slip down particularly well when accompanied by a challenging metre long sausage. 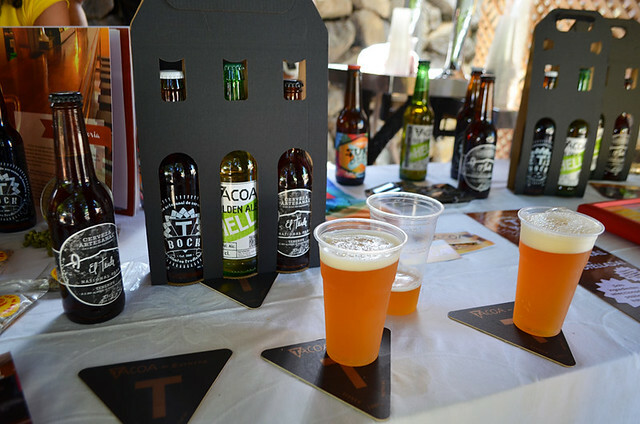 Tacoa regularly add to their beer menu, experimenting with beers which have a distinctly local flavour such as florally tajinaste honey. 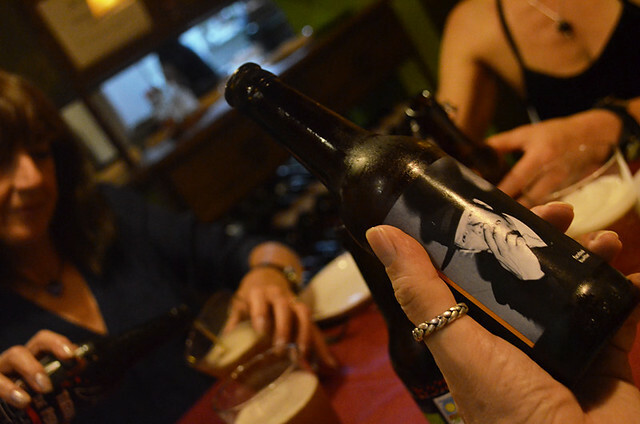 In vegetarian restaurant El Maná in Puerto de la Cruz we were introduced to the bad boys of local craft beers, Chutney, whose range of pale ale, stout and London brown beer sport gangsters’ names – Willie Sutton, Albert Spaggiari and Ronnie Biggs. These are possibly the coolest looking craft beers in the Canary Islands. 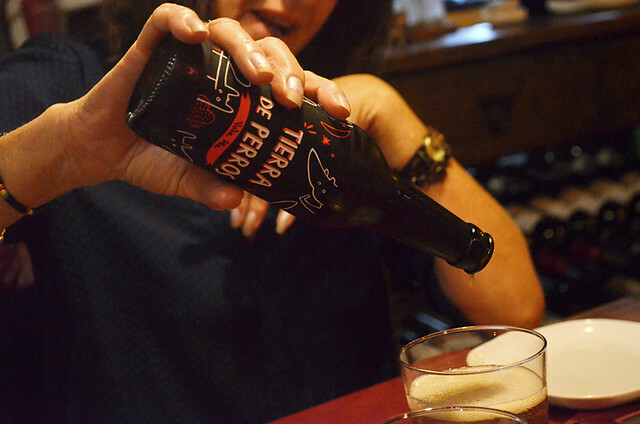 Our current favourite Tenerife craft beer is Tierra de Perros, Land of Dogs – a reference to how the Canary Islands got their name. 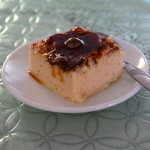 Why is it our favourite? I couldn’t tell you, it just is. Told you not to expect knowledgeable descriptions. Two Tenerife brands we haven’t tried yet are Larrancadilla (which comes as pale ale, black beer, and a palm honey ale) and Agüita who sell a blonde pilsen, a toasted pale ale, a märzen, and a strong gofio flavoured beer. In truth I’m a bit confused about Agüita. 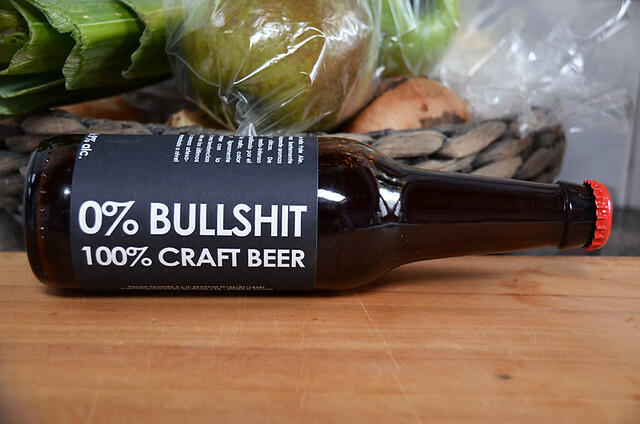 Their website shows them as being Tenerife based, but a Lanzarote newspaper describes Agüita as being the first craft beer brewed on that island. Maybe there’s two. 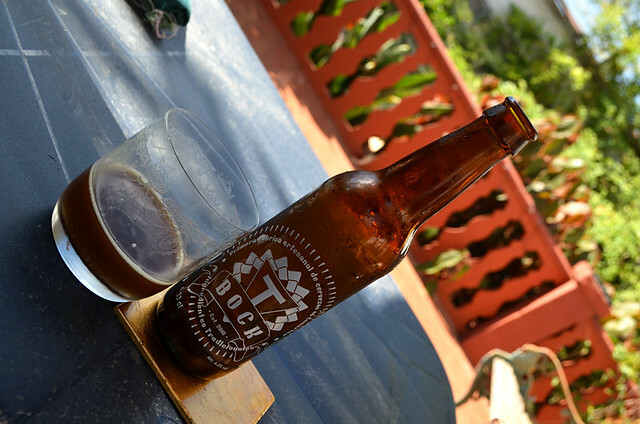 Another western Canary Island with an increasing taste for artesan cervezas is La Palma where the craft beer scene is dominated by Isla Verde. 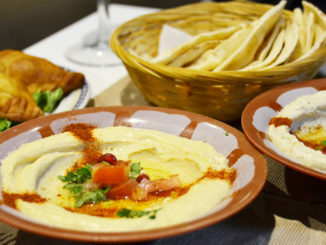 They have a tasca as part of the brewery in Tijarafe, so you can try their brews accompanied by a selection of tapas. I’m particularly fond of their black beer Danza del Diablo, maybe partly because of the name (I just can’t lose that lager drinker’s superficiality). Last time we tried Isla Verde beers was at Route 66, a lively live music bar in the Tenerife tourist resort of Puerto Santiago where we worked our way through Picara (a golden ale which didn’t ring my bell) and Indiana (a wheat beer more to my liking). The fact these were on sale in a tourist resort bar shows how much the taste for craft beers is spreading in the islands. Just a couple of years ago we had to seek out these specialist beers, now they’re widely available. Another La Palma beer we enjoy is Gara, la princesa de agua (princess of water), whose range includes malt, black, and light beers. Despite spending a decent amount of time on Gran Canaria, Fuerteventura and Lanzarote we haven’t actually sampled any local craft beers on those islands. In fact I had to Google search to find out what was on offer. Subsequently this is more of a list for us to try next visit, if the brands still exist. In the Canaries there’s a tendency for companies to treat facebook as a free website instead of investing in the real thing, so it can be difficult to know which businesses are still solvent as companies aren’t great at even keeping their facebook pages up to date. Viva seems to be the main craft beer specialist in Gran Canaria, offering a range which includes blonde, toasted malt, wheat, black beer with a hint of chocolate, pale ale with mandarin, and even sin alcohol. Other micro-breweries include Tamaragua, Malpecado, Fiera, Jaira, Vagamundo, and Canbrew. Lanzarote boasts at least two micro-breweries. 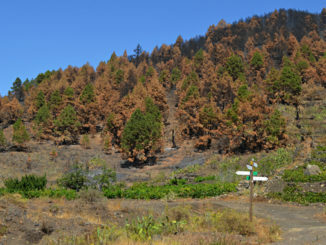 Malpais has three varieties – la Jable (blonde), la Rofe (black), and la Bermeja (toasted). Nao has three bottled beers, La Gloria, Berliner Weiss, and Capitan, a pale ale. 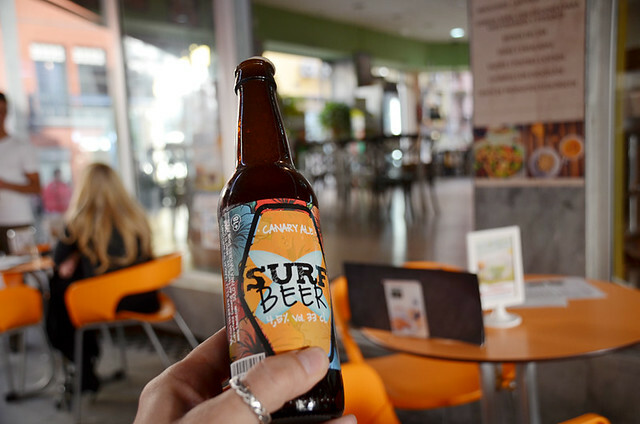 Fuerteventura has only one craft beer, Freska, a pale ale brewed in the traditional town of Pajara. Of course in this ever changing world in which we live there might be more, or there might be less by now. But, like I said, local craft beers in the Canary Islands are more widely available than ever. However, they’re not always obvious. If you want to go local when it comes to the Canarian craft beer world do what we do, always ask bar staff what ‘cervezas artesanal’ they stock. What’s wrong with a vegan sausage roll? Can i have any type of information about Freska beer in Fuerteventura? I’m an italian beer geek and also an homebrewer and in September I will be on the island. They have a facebook page or sites? Or simply give me the address or a phone number if you can. Thanks a lot and good article. Many companies in the Canaries are still poor when it comes to having information online. The Fuerteventura Freska beer was seen at a craft beer festival but I don’t know the name of the company which made it. 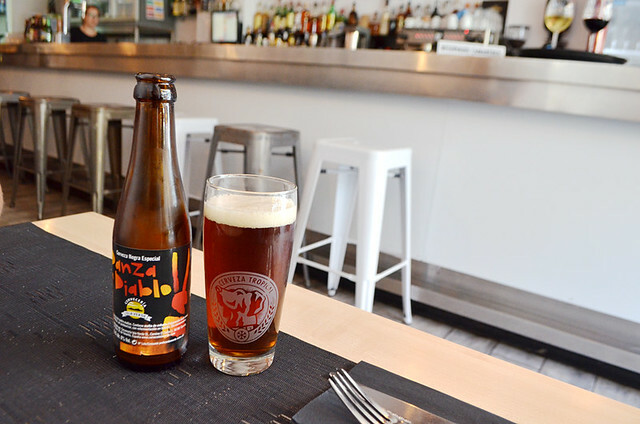 There are two craft beer places listed in Pajara on Fuerteventura. 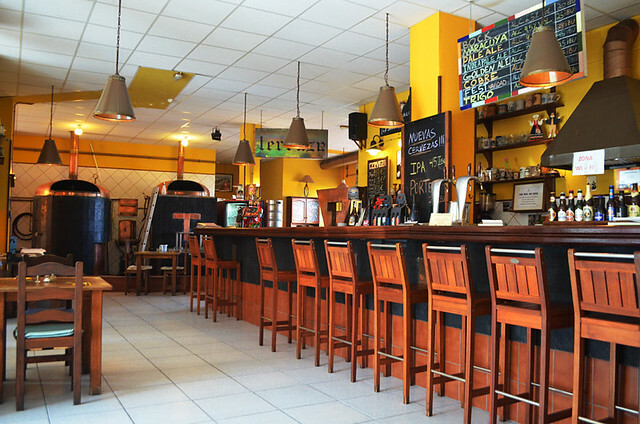 The best bet is to find a good bar which stocks craft beers and ask them about local craft ales. Seriously, I cannot believe you bad mouthing Stockport in terms of beer! Maybe you were very young at the time and didn’t know what you were looking for and where to find it! I was young and dumb, and a lager drinker at that.